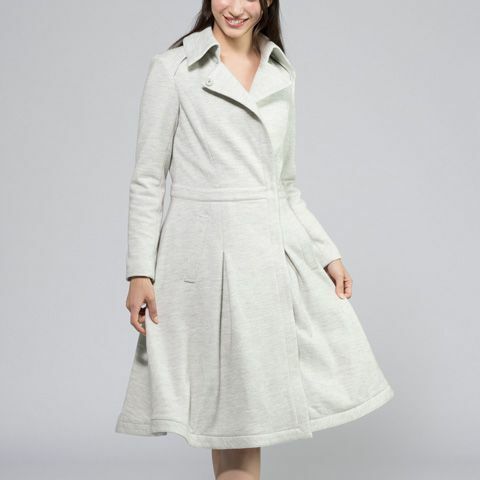 Perfect for cold weather, our wool-blend coats feature plenty of stretch with maximum style. A classic A-line flared shape, fully lined and with side pockets, handmade individually at our Tokyo atelier. Pair with any kay me items, and add a kay me Select scarf for instant elegance. Our specially selected wool-blend is soft, stretchy and washable at home. With a generous A-line flare, our coats are designed to move with you, from the morning commute to weekend walks. Side pockets are perfect for small essentials, and style the collar your way by leaving open or closed on frosty days.